Open PPT files and presentations"
PowerPoint is a popular format to create presentations. This is a tool like its name; it allows you to view all PowerPoint presentation up to PowerPoint 2012 version. Do not forget, you can only view them in a read-only format but you cannot edit them. The tool comes in with an inbuilt update build to update all the PowerPoint drives for better viewing with no interruptions. 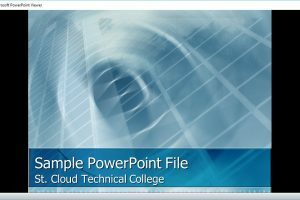 This tool can view all PowerPoint file version supported on your computer. It is a simple software with a straightforward interface with very minimal features working on a stick and view version. What makes it better than the normal PowerPoint Viewer? 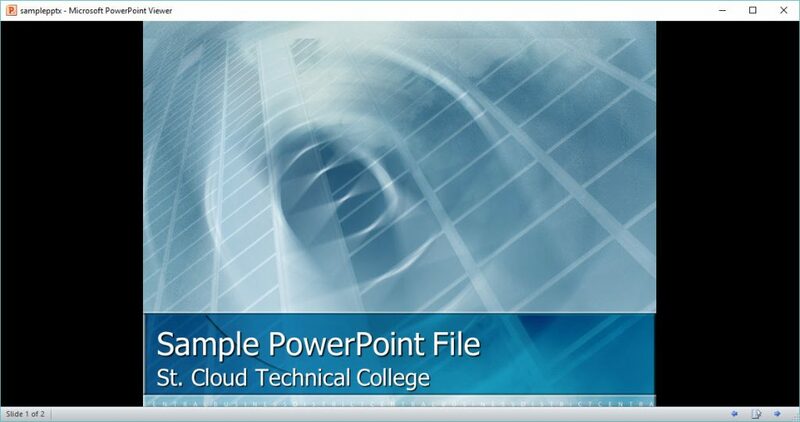 You will notice, most PowerPoint presentations come in windows which only display a section of the file. In case you need to view other pages, you have to press the enter button. With this tool, you can the power to view the entire page or all pages as long as the font accommodates the view. It is a user-friendly application ideal for both novices and experts in handling PowerPoint files. In addition, it gives you the ability to proofread the PowerPoint to check whether the final output is presentable for the intended operation. Why worry about how you PowerPoint will display when PowerPoint Viewer is available for use? PowerPoint Viewer is licensed as freeware for PC or laptop with Windows 32 bit and 64 bit operating system. It is in file openers category and is available to all software users as a free download.